Tour this new home and move in this summer! MLS#3486360. M/I Homes. Perfect for a summer move in! MLS#3486308. M/I Homes. Watertrace - Finished basement of 280sq ft has separate entrance and not accessible from inside the home. MLS#3484333. EXP Realty Piedmont. Lake Shore - Enjoy entertaining on the 570 sq ft patio overlooking ½ acre fenced yard with 2 paver patios, flat grass, play area. MLS#3478832. Keller Williams Fort Mill. OVERSIZED 2 and 1 Split Garage w/remotes, sod around home w/Full Irrigation to keep Green. Screened back porch. MLS#3485961. DR Horton Inc. This new home is perfect for a summertime move in. MLS#3485589. M/I Homes. This is the perfect home for someone that loves to tinker in the garage and would love workshop areas and a quiet location. MLS#3485301. RE/MAX Executive. Own this new home just in time to spend the summer in. MLS#3484621. M/I Homes. Own this new home just in time for enjoying the summer! MLS#3484612. M/I Homes. The master bedroom has Juliet balconies w/ double doors that open and are screened in, his & hers walk-in closets, built-ins and a private fireplace. Home Sweet Home.... MLS#3479106. Bliss Real Estate LLC. This home will be a pleasure to show! MLS#3479865. Better Homes and Gardens Real Estate Paracle. Lake Ridge - The beautiful flat yard is fenced and has been professionally landscaped. MLS#3482428. Keller Williams Fort Mill. Seller would like to close after April 30. MLS#3481966. Stephen Cooley Real Estate Group. Low SC taxes. Nationally ranked Fort Mill Schools. MLS#3481216. Helen Adams Realty. Award winning Fort Mill Schools! Welcome Home! MLS#3474913. Keller Williams Fort Mill. 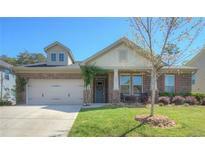 Lake Ridge - Clubhouse, pool with mega slide, tennis courts, walking trails, fitness room, basketball courts, community events. MLS#3481397. Keller Williams Fort Mill. 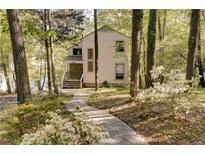 Close proximity to I-77 for easy access to Charlotte/Rock Hill. Check for school enrollment freezes MLS#3480044. Better Homes and Gardens Real Estate Paracle. !What More Could You Ask For! MLS#3481151. EXP Realty Piedmont. Lake Shore - What are you waiting for…it is time to call Tega Cay home! MLS#3480171. Keller Williams Fort Mill. Lake Shore - Award winning Fort Mill Schools too. MLS#3480709. Allen Tate Providence @485. Such is an incredible location to live! MLS#3480717. Allen Tate Providence @485. Amberwood - Seller willing to pay $5,000.00 towards buyers closing costs with acceptable offer. MLS#3480351. Phoenix Realty Of The Carolinas. Lake Ridge - Home's cul-de-sac connects with community trails also connecting to other communities! MLS#3478409. Allen Tate Fort Mill. Shopping, Lake Wylie water sports and restaurants minutes away! MLS#3478387. Phoenix Realty Of The Carolinas.